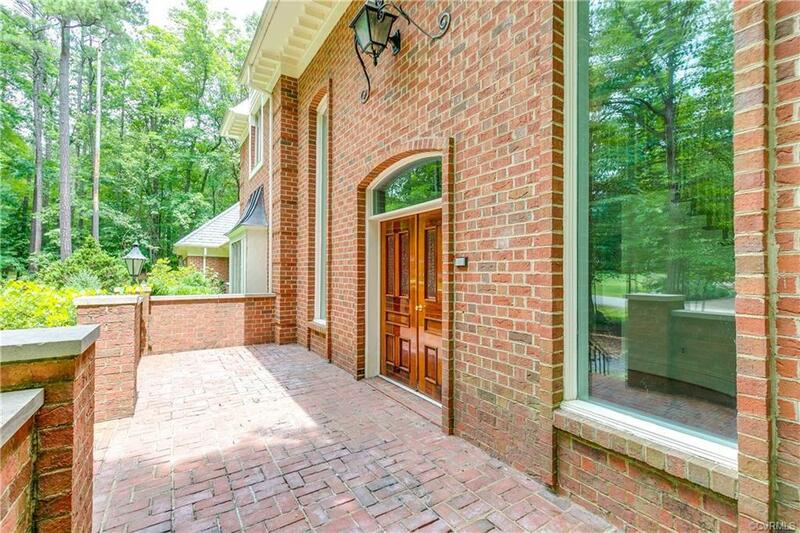 2701 Wicklow Lane, Chesterfield, VA 23236 (#1837219) :: Abbitt Realty Co. 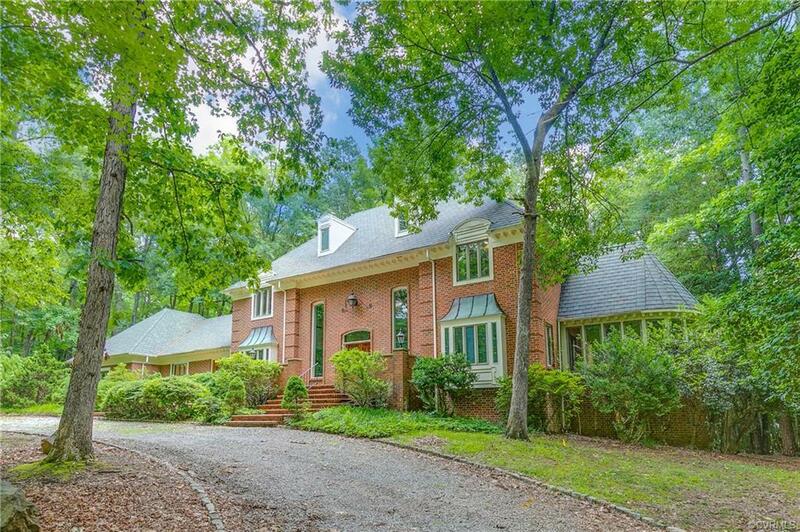 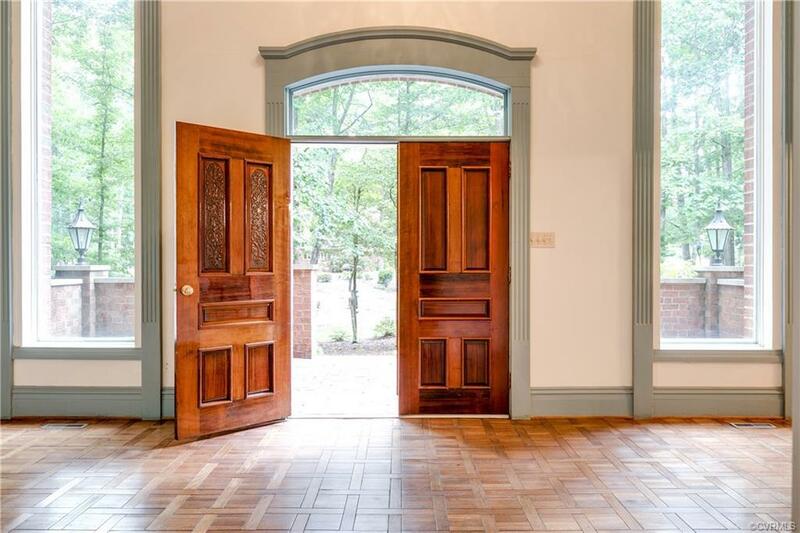 This stunning custom home sits on almost 2 acres, was updated w/ new 50 year roof, water heater, & carpet, was built w/ great attention to detail, & includes features like: Flemish bond brick work w/ quoined corners; hand carved solid redwood entry doors; foyer w/ 19' ceilings, 14' custom windows, & custom rams horn double staircase, overlooked by Juliet balconies; solid cherry hardwoods, 3/4" parquet wood floors, & high end millwork throughout including 5 member crown w/ dentil molding, chair rail, 3 piece baseboard, & 2 member iron cross door & window casings; eat-in kitchen w/ cherry cabinets, massive center island, & imported exotic stone counter tops; temperature controlled brick sunroom w/ access to the large rear terrace; family room w/ stone fireplace & solid cherry coffered ceilings, paneling, & built-ins; study boasting mahogany & walnut cabinetry w/ beautiful in-lays; master suite w/ solid mahogany double doors, hand crafted cypress wainscoting; brick fireplace; & 5 piece en suite; hobby room/workshop; game room w/ cypress shiplap & custom bar; & walk-up attic w/ great storage. 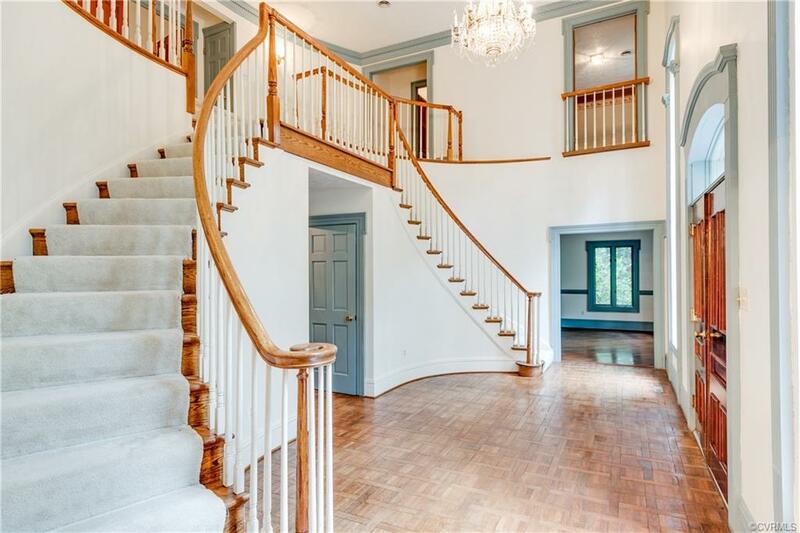 Appraised for $888,000 in 2006, owner must maintain replacement insurance of $1,200,000.